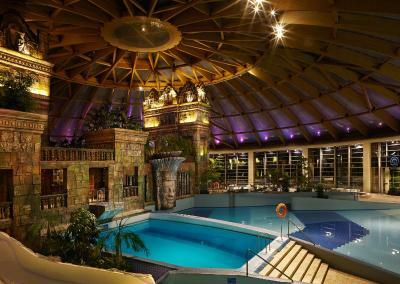 Lock in a great price for Aquaworld Resort Budapest – rated 8.6 by recent guests! 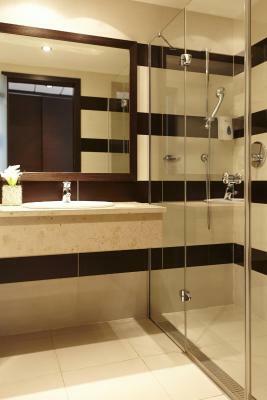 Very clean, excellent service, very professional staff, great facilities, good breakfast. Food was good,pool and Oriental part were amazing. Room was clean,balcony had an amazing view. Very nice experience. 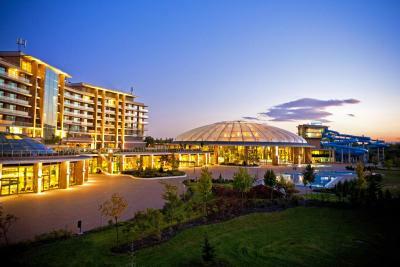 A very good hotel and spa. The staff of the hotel are very friendly and helpful all the time. 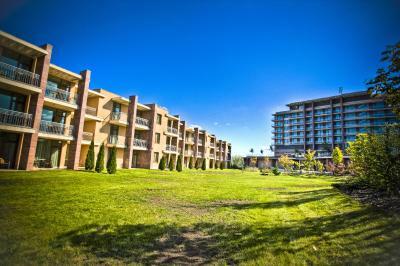 Lot of pools, playground for kids and plenty of other services and offers. There is a big parkig and a well supplied shop in hotel. Rooms were tidy and bed were comfortable. Was not as good as expected. Rooms are far from lobby. No coffe in the rooms. Early check out. Greate place to have a few days of relaxation with the family. Responsive staff. 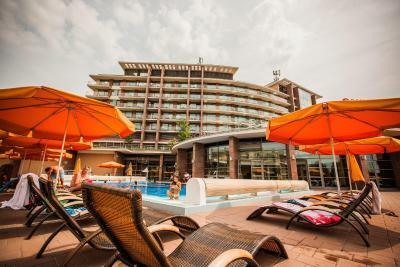 Aquaworld Resort Budapest This rating is a reflection of how the property compares to the industry standard when it comes to price, facilities and services available. It's based on a self-evaluation by the property. Use this rating to help choose your stay! 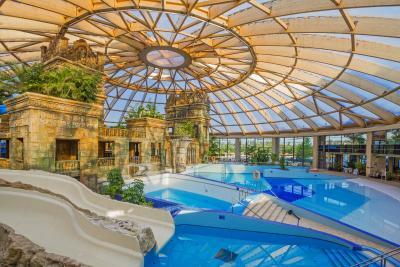 One of our top picks in Budapest.The Aquaworld Resort Budapest is close to the M0 motorway ring and offers a free shuttle service to the center and free WiFi in the entire building. 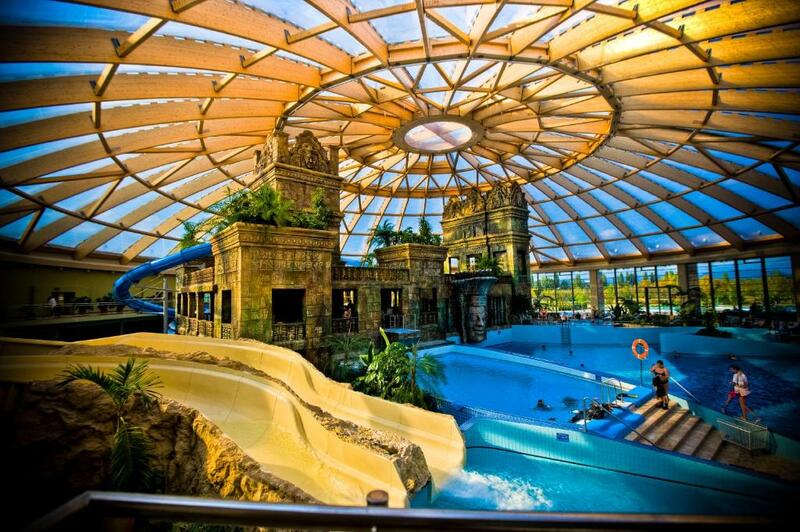 The Aquaworld, one of the biggest indoor water theme parks in Europe, is directly accessible from the hotel for free of charge, and gourmet cuisine is served in the Aquaworld Resort's several restaurants. The separate entertainment center connected to the hotel features a film room, a large-size plasma TV, a DVD player, a card games room, a billiard and gaming room, and a cozy cigar room. 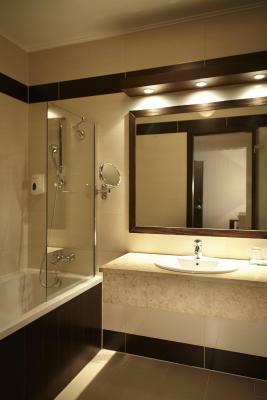 The youngest guests can enjoy the carefully designed kid's house under adult supervision. Aquaworld Resort Budapest offers a free shuttle service to and from Heroes' Square. The free shuttle bus departs from Heroes' Square, in front of the Art Gallery. 04. Újpest is a great choice for travelers interested in health spas, city trips and sightseeing. 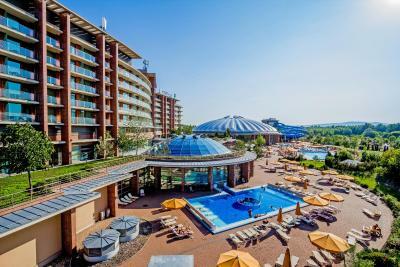 When would you like to stay at Aquaworld Resort Budapest? Please state in the comments field whether you prefer a double bed or 2 single beds, smoking or non-smoking room. 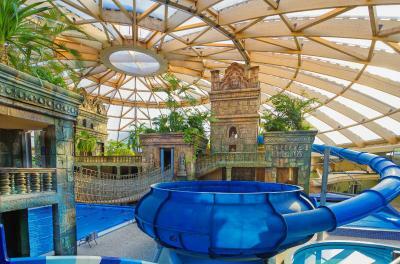 Guests have free access to the Aquaworld Water theme park. 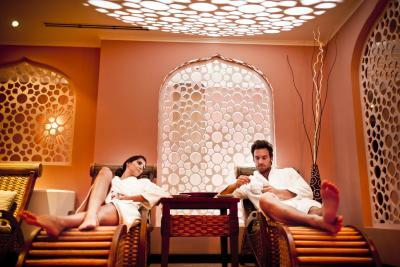 Guests have limitless entry to the Oriental Spa Wellness and Fitness Center with relaxation pool, heated outdoor pool, mandala bath, saunas, steam bath, fitness room. Guests have free access to the Aquaworld Water theme park. This air-conditioned room offers a mini-bar. 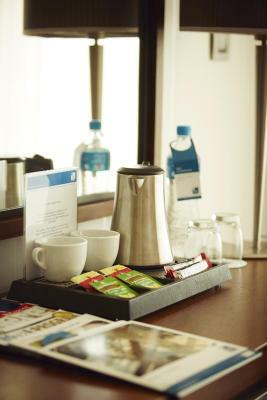 This room offers views of the Buda Hills, coffee and tea making facilities, free entry to the Oriental Spa Wellness and Fitness Center, free garage usage, air conditioning and a mini-bar. 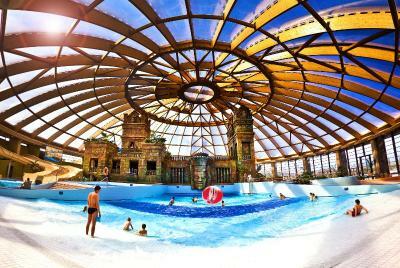 The two parts of the aquatic complex, Aquaworld Budapest, the aquatic adventure park, and Aquaworld Resort Budapest Hotel with its own quiet bath unit, have a total of 21 pools, a total water surface area of more than 3300 m2. House Rules Aquaworld Resort Budapest takes special requests – add in the next step! All children under 12 years are charged EUR 29 per night for extra beds. 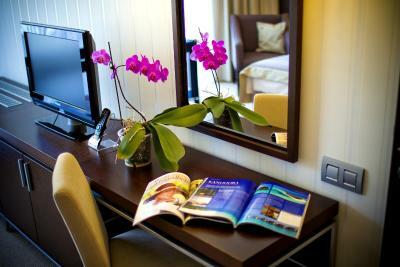 Any additional older children or adults are charged EUR 57 per night for extra beds. Aquaworld Resort Budapest accepts these cards and reserves the right to temporarily hold an amount prior to arrival. A restriction applies for the use of water slides for children under the age of 14. For detailed information about the restrictions please contact the hotel. Contact details are stated in the booking confirmation. The shuttle to the city could be more frequent, especially during the peak times i.e. the 10am shuttle to the city and the 5.30pm shuttle back. Also some of the height restrictions for the slides were a bit excessive, our daughter was 122cm and was limited. But she has been on more challenging rides (and a surf simulator) in other big waterparks around the world. Location, it is a bit far from the city center, but they have daily free shuttle to the heroes square so its not so bad. Buffet restaurant not worth the money. 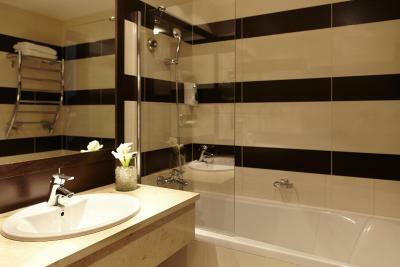 Rooms are relatively clean, the room and bathroom was very large with a separate bath and shower. The actual aqua world resort was okay, again it was quite clean but there could have been more slides. 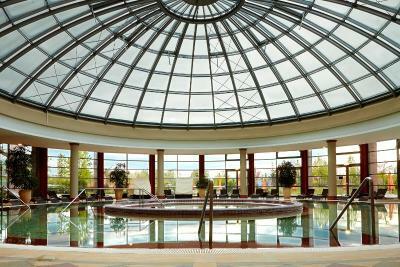 There’s a few saunas and various different pools indoors and outdoors. Breakfast was of a really good quality. There’s a free shuttle bus which runs each day to and from Budapest and stops near Heroes Square. The only thing that haven't worked for me was the bus stop at the Heroe's square. It should be in downtown. No playground for younger kids. Pool water was quite colder one day. Aquaworld and Spa. Quick check in (if you do it online in advance). Large, comfortable beds. No instructions to turn off the air conditioning in the room. Prices are high, but I think to spoil yourself occasionally, it's worth it. Some of the sockets in the room did not work, the cleaning lady kept on bugging me about when I was going to leave almost 2 hours prior to check-out time, which was a little bit annoying, but excepting these minor things, everything great. 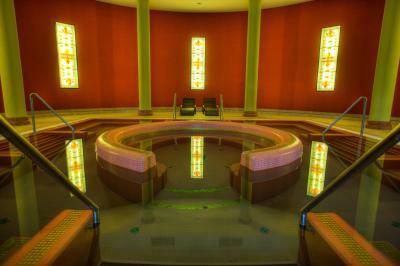 A really great place if the weather is bad or if you just want a day at a spa. Everything was absolutely great, it's impressive for a hotel to have such facilities, really clean, comfortable, great breakfast, parking place both outside and underground. Fantastic! I come with small kids so for them it was magic place with all swimming pools, slides but for adults... Do not go there for weekends as You will have no place at swimming pool even where to put Your towels, do not even think about having launches and dinners in the hotel restaurant as You will eat twice the same and it does not mean always good quality, If You want to drink beer - You can choose from 2 types available. The hotel is already 10 years old and You can see that..I saw that in the apartment that I used..together with some "small animals". The 300 Eur / night apartment mini bar consisted of 2 small bottles of water and lot of empty space. If You choose to be VIP customer it would be really nice to feel like one. Next time for the same money I will fly to Spain. By chance we received a free upgrade to the Presidential Suite. It is worth the money, but I wish it was less expensive, so I could return sooner. Sun loungers were very close together. It would have been helpful to have more shuttle services to the town. Breakfast was good. Food by pool was also good.